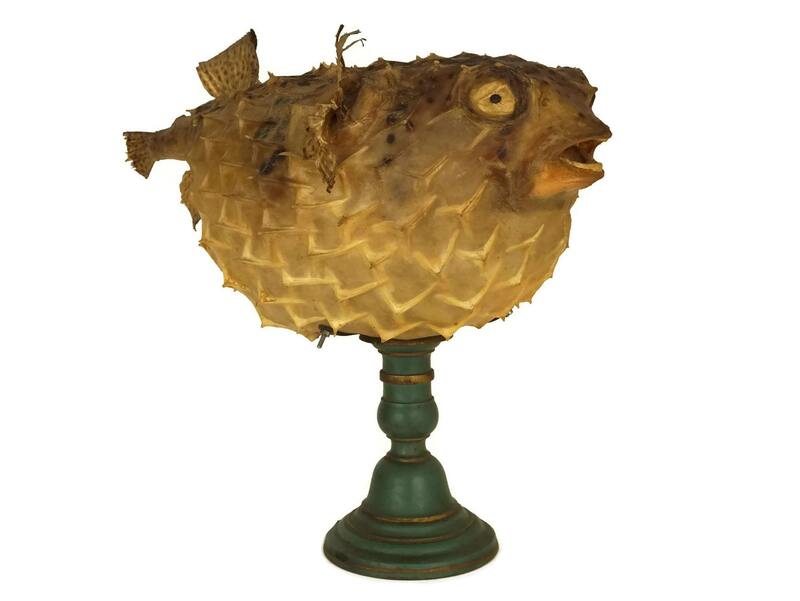 A striking and original antique taxidermy porcupine puffer fish table lamp dating from the 1920's. 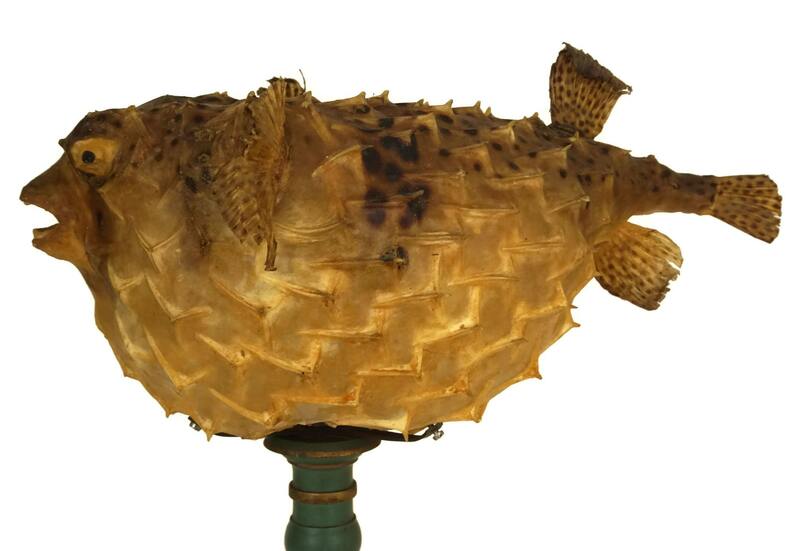 The lampshade has been created from an authentic dried blowfish and has been mounted on a turned wood light stand. 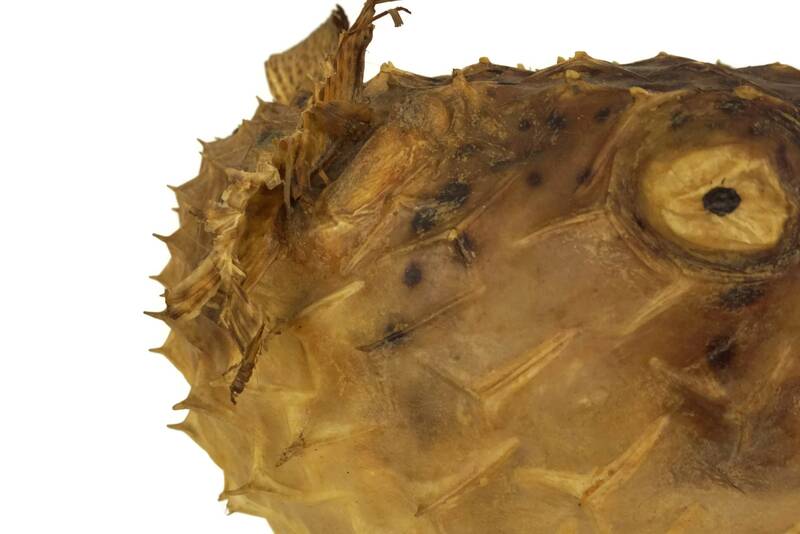 The fish is a large size with short spikes on the surface. 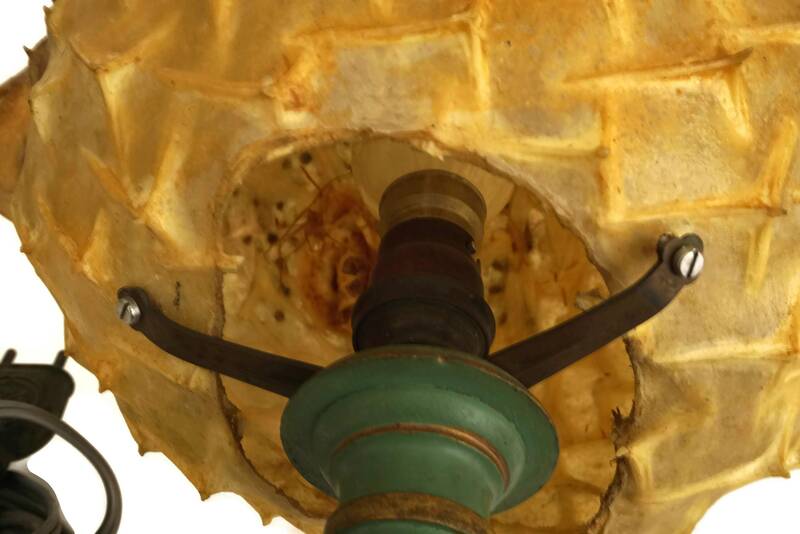 It has been secured to the stand with 3 small metal screws. 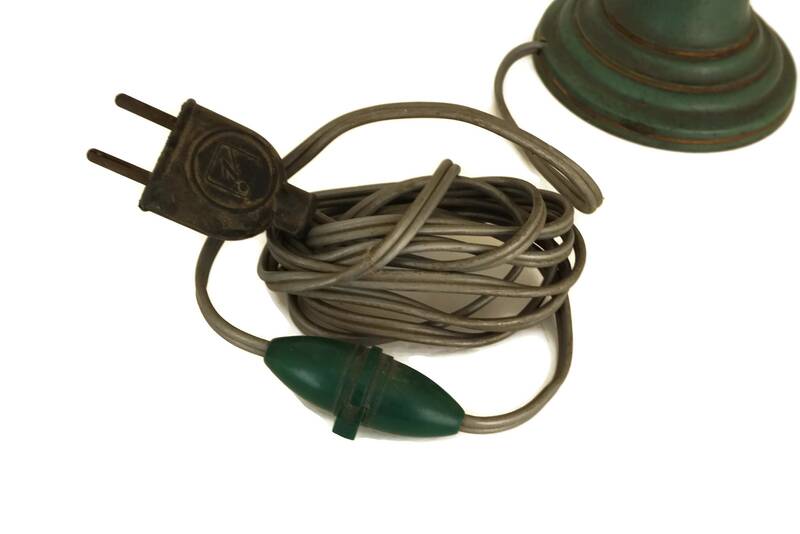 It has a fitting for a single bayonet light bulb and has its original wiring for European electrical sockets. 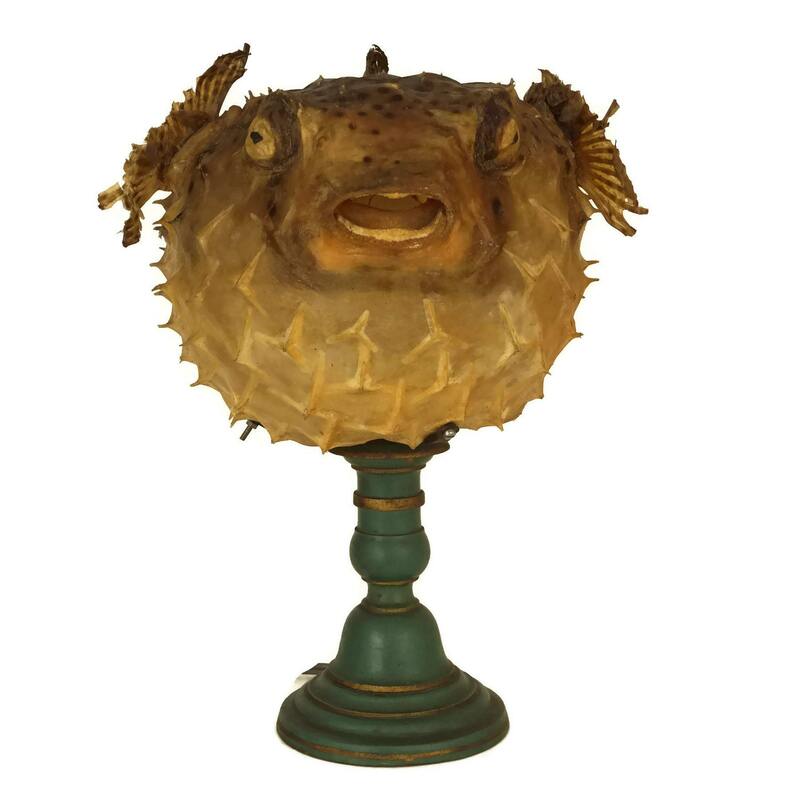 The table lamp with add a charming touch to a nautical and coastal themed home decor. 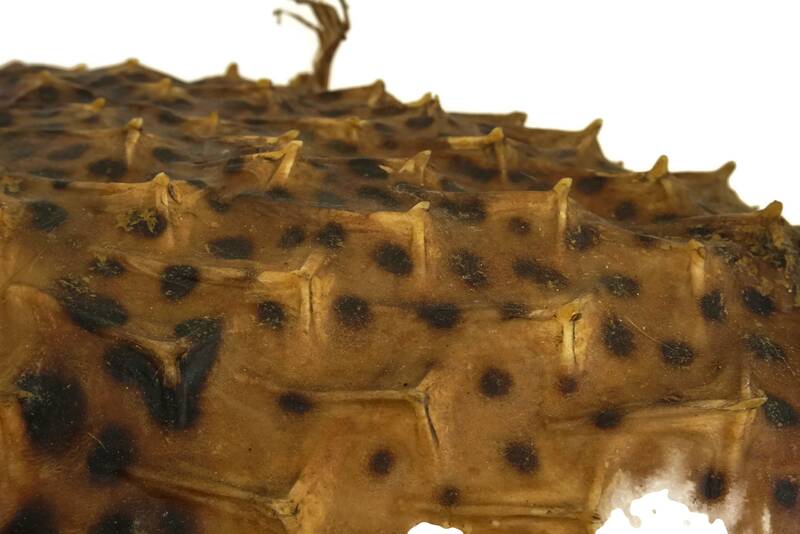 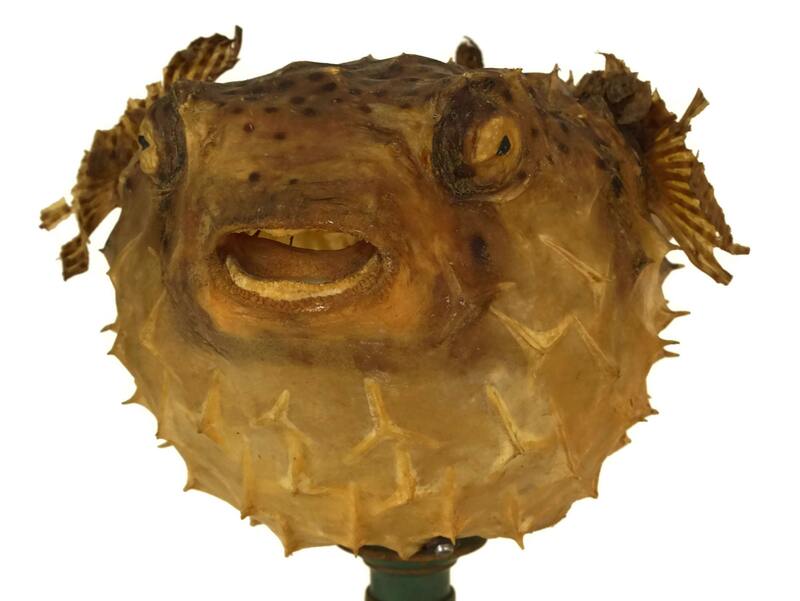 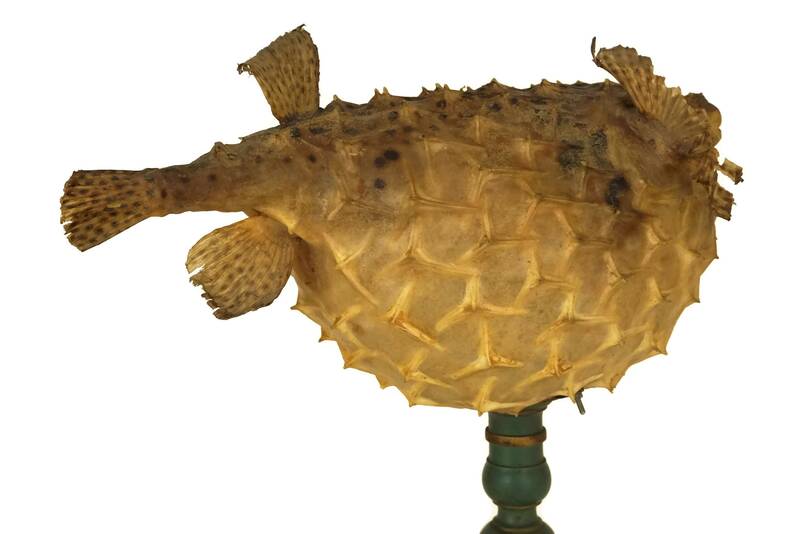 The puffer fish lamp is in good antique condition with some signs of age and wear to the fins and spikes on the fish. 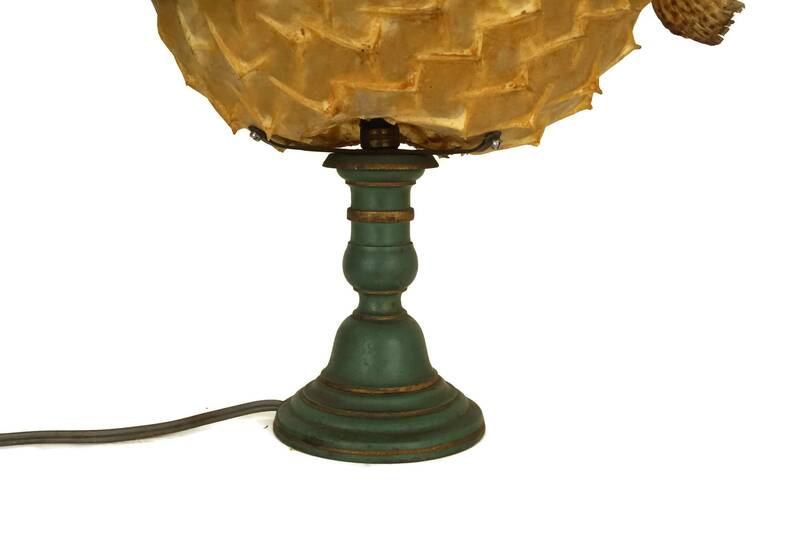 The lamp is in full working order but it is strongly recommended to rewire the lamp to meet modern electrical standards.